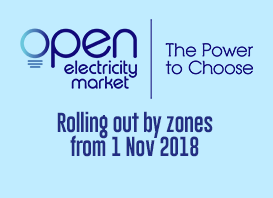 Consumers can participate in the wholesale electricity market through reducing their load during times of high wholesale electricity price or system supply shortage under the Demand Response Programme and Interruptible Load Scheme respectively. A company is required to hold a Wholesaler (Demand Side Participation) Licence issued by EMA, if it wishes to offer either individual load facility or aggregated load facilities of multiple contestable consumers within the same specific zone to be reduced. The minimum load reduction of the individual or aggregated load facilities is 0.1 MW.